Famous Polish game developer CD Projekt RED has been working on its upcoming sci-fi, role playing game Cyberpunk 2077 for past few years and as the development phase continues, we get to hear more details regarding the game’s final version. 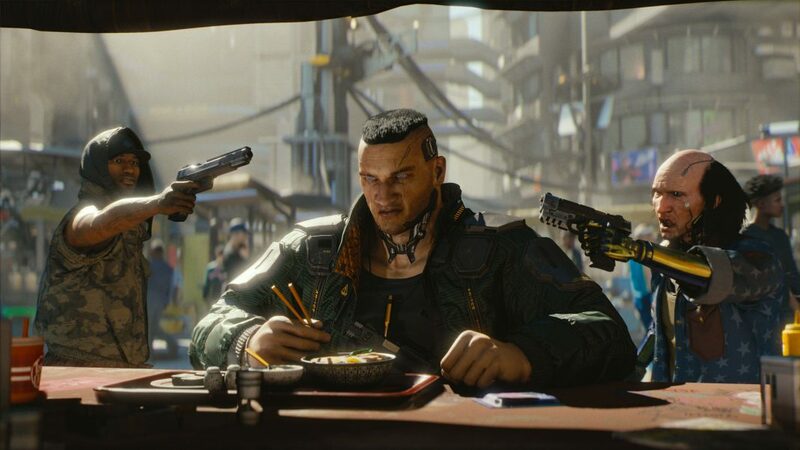 Previously, developers clarified that Cyberpunk 2077 will come with the first person mode and most of the people suspected that the studio is planning to add the VR support in the game when it launches sometime next year. Users even claimed that game’s E3 2018 trailer featured shots from VR headsets, which sparked rumors over the internet. To clear the air, developers decided to respond officially on Twitter and claimed that they currently have no plans for the VR support. The tweet was made in response to a fans who also wondered that there will be VR support at launch. Some people were not happy when they found out that the game will feature first-person perspective and they insisted for the third-person perspective instead. But the studio wanted it to be first-person for better visual immersion. Moreover, they will work on the visuals to help those who struggle with the first-person mode. The VR gaming audience is not very big in number as the majority of gamers across all the platforms do not own the VR headsets. Apart from that, no VR support at launch doesn’t mean that it will not be coming at all since there are some of the most popular titles (such as Skyrim and Fallout 4) had no VR functionality at launch but a few years later, VR support was added. So maybe the studio is more focused towards game development and optimization and VR is not in their priority list. Stay tuned for more updates!